Best all-in-one Mac Video Converter. 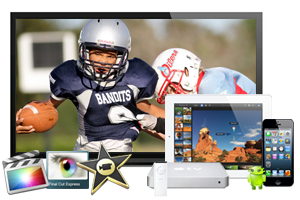 Convert Blu-ray, DVD and HD video to any popular formats for portable devices or editing software on Mac. Convert Blu-ray, DVD Disc/ISO/Folder movies to any formats. Convert videos like MKV, AVI, WMV, MOV, MP4, M4V, to any formats. Support encode videos in Apple ProRes, AIC, DNxHD, DVCPRO codec. Optimized formats for tablets, smartphones, smart tv, editing software, etc. Trim, crop, add 3D effects / watermark / subtitle, adjust effect to video. Backup Blu-ray/DVD disc with quality lossless. Convert Blu-ray/DVD to multiple subtitles and audio tracks. Acrok Video Converter Ultimate for Mac is the best and easy-to-use Blu-ray/DVD/4K/HD conversion software. With it, you can easily convert any Blu-ray or DVD disc to all popular video formats like MP4, AVI, MKV, WMV, MOV, FLV, M4V, etc., and Blu-ray/DVD ISO file or folder file is also supported. What's more, all 4K and HD video formats are supported to convert, such as MKV, AVI, MOV, MP4, AVCHD MTS, M2TS, MXF, TS, TiVo, etc. It's very easy to convert Blu-ray/DVD/HD to editing software or portable devices like iPhone XR/XS/XS Max, iPad Pro, iPad Mini, Samsung Galaxy S10/S9/S8, Galaxy Note 9, Google Pixel 3, Amazon Fire HD 10/8/7, etc. it has optimized formats for IOS devices, Android/Windows tablets and smartphones, Smart TVs, etc. The amazing video editing functions can help users customize the output video effect, you can trim, crop, add watermark, adjust effect, select language and audio track, add subtitle, convert 2D to 3D, replace/remove audio from video, etc. With Acrok Video Converter Ultimate for Mac, you can easily convert any Blu-ray/DVD disc to all popular formats on Mac, latest Blu-rays and DVDs are supported. It supports converting Blu-ray or DVD disc to video formats like MP4, MKV, AVI, MOV, M4V, FLV, etc., besides discs, it also supports Blu-ray/DVD folder and ISO file. It can also help you to extract audio files from Blu-ray, DVD and HD video files and convert to MP3, WAV, WMA, TIFF, OGG, AU, FLAC audio formats. Besides BD and DVD, Acrok Video Converter Ultimate for Mac also supports HD video conversion. 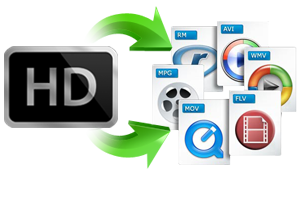 With this software, you can convert MKV, AVI, WMV, MOV, MP4, AVCHD, MTS, M2TS, TS, MXF, MPG and other formats to any formats as you need, and then you can edit them with editing software or play them with portable devices, you won't have video compatibility problems any more. You can convert Blu-ray/DVD/HD video to video formats compatible with popular editing software and portable devices, like Final Cut Pro X, iMovie, Avid Media Composer, Final Cut Express, Adobe Premiere, iPhone 5S/5C/5, iPad, Galaxy S4/S3, Galaxy Tab 3, Galaxy Note 2, Amazon Kindle Fire HDX, Nexus 10, Nexus 7, etc. 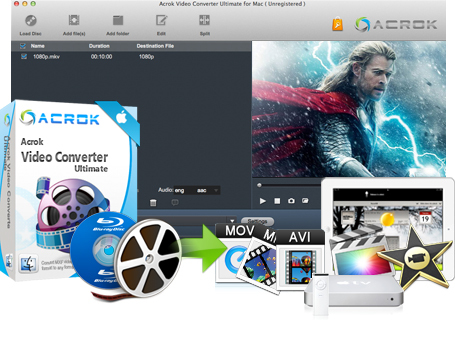 Acrok Video Converter Ultimate for Mac has powerful video editing functions. 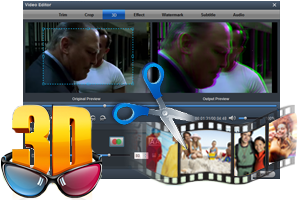 With this software, you can split video segment, trim the video segment by setting its start and end time. It can also help you to merge several video clips together and output a single video file, you can also adjust saturation, contrast, brightness, hue and volume for the best effect, it is available to add text/image watermark and subtitle to the video. Acrok Video Converter Ultimate for Mac can work as an excellent Blu-ray/DVD/HD player. With the built-in player, you can preview your Blu-ray/DVD/HD video files, as well as compare the original video and the converted video, meanwhile, you can capture your favorite scene from Blu-ray, DVD or HD movies. The advanced Blu-ray/DVD decoding technology takes the speed of Acrok Video Converter Ultimate for Mac to a higher level, you can get videos converted at top speed. With Acrok Video Converter Ultimate for Mac, you can convert or backup DVD and Blu-ray disc on Mac with quality lossless. It is available to use Full Disc Copy or Directly Copy functions to convert your Blu-ray and DVD movies, Full Disc Copy will lossless backup your Blu-ray/DVD disc and save as folder on your Mac HDD, Directly Copy will convert Blu-ray and DVD to HD formats with quality lossless. 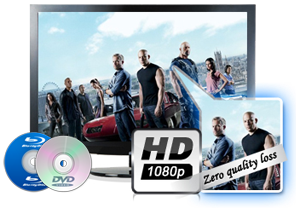 What's more, you can convert Blu-ray and DVD to MOV, MKV and MP4 on Mac with multiple subtitles and audio tracks, which will retain the original subtitles and languages for you. 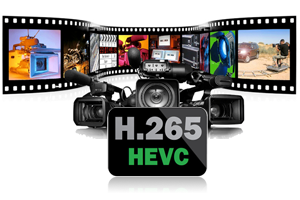 Acrok Video Converter Ultimate for Mac upgraded to support converting video to H.265. You can convert your different video files like Blu-ray, DVD, VOB, IFO/ISO, MKV, MOV, AVI, MXF, MTS, WMV, MP4, FLV, M4V, MPEG, MPG, VOB, AVCHD, XAVC/XAVC S and others video files to H.265/HEVC format since it's the best format for video experience. Cameras and Camcorders All Canon, Sony, Nikon, Panasonic, RED, Samsung, GoPro, Blackmagic design, Ikegami, JVC, FUJIFILM, Olympus, Leica etc, cameras and comcorders recorded MP4, MOV, MXF, RAW, MTS footage. Android Google Pixel 3/3 XL, Google Pixel 2/2XL, Google Pixel Slate; Galaxy Note 9, Galaxy S10, Galaxy S9, Galaxy S8/S8 Plus/S4/S5/S6/S7/S7 Edge, Galaxy TabPRO, Galaxy NotePRO, Galaxy Tab S4, Galaxy Tab S2/S3; Amazon Kindle Fire, Kindle Fire HDX; Nook HD, Archos tablets, Asus Transformer tablets, Acer Iconia tablets, Acer tablets, MeMo Pad tablets, HTC U12/U11, Xperia XZ3/XZ2; LG G7 ThinQ, V45 ThinQ, Moto One, Moto Z3 Play, OnePlus 6T; Huawei, Xiaomi, Nokia, Lenovo Android devices. Apple iPhone XR, iPhone XS, iPhone XS Max, iPhone X, iPhone 8, iPad Air, iPa Pro, iPhone 7, iPhone 7 Plus, iPhone 6S, iPhone 6S Plus, iPhone 6, New iPad, iPad Retina, iPad mini, iPad Mini 4, iPhone SE, Apple TV, iPod Touch, QuickTime, Final Cut Pro, iMovie, etc. Windows Microsoft Surface RT, Surface Pro, Windows Phone, Nokia Lumia Smartphones, Samsung Windows tablet, Windows 8 tablets, Lenovo ThinkPad tablet, Acer Iconia W tablet, Asus VivoTab tablet, Zune, etc. HDTV Sony Bravia HDTV, Panasonic HDTV, LG HDTV, Samsung Smart TV, VIZIO HDTV, Toshiba HDTV, JVC HDTV, Sanyo HDTV, Mitsubishi HDTV, Sharp HDTV, Philips HDTV, Seiki HDTV, TCL HDTV, Haier HDTV, Hitachi HDTV, Sansui HDTV, Westinghouse HDTV, Coby HDTV, etc. Others Final Cut Pro (X, 7, 6), iMovie, Adobe Premiere Pro, Adobe After Effects, Avid Media Composer, Sony Vegas Pro, Windows Movie Maker, PowerPoint, PlayStation(PS4, PS4 Pro, PS5), XboX 360, XboXOne/One X and more. Great tool for me James | 2016-09-07 09:07:49 With this software, I can get all my Blu-rays converted to iPad compatible format. Work Perfectly Keith | 2016-06-28 11:04:39 It's really good software, it supports latest Blu-ray and DVD movies. Easy to use Andrew | 2015-12-09 09:05:38 This software is great, you can easily convert all of you stuff and it works incredibly fast too. It's so Powerful Paul | 2015-11-28 22:14:33 This application does it all and at a great price. It's very easy to use and is a one step job. We enjoy the convenience. Convert, backup, So easy. Jason | 2014-11-15 08:04:27 Fantastic product! It can convert Blu-ray and DVDs to any video format perfectly!